PRODUCT: PRODUCT: #12 X 3/4" PANCAKE HEAD, ZINC FINISH, PHILLIPS HEAD DRIVE, SELF DRILLING TEK. 5000/BOX. PRICE/BOX. 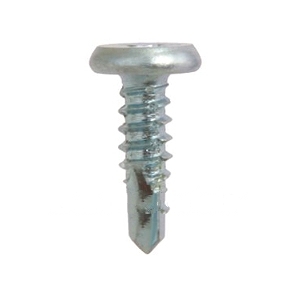 • Designed with phillips head styles, drill point configurations and material types to meet performance requirements needed to attach roofing clips.